The Eater of Books! 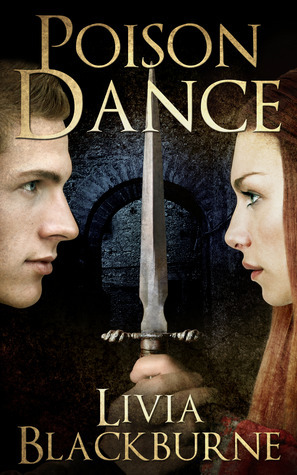 : September New Release Giveaway! Welcome to the September New Release Giveaway Hop! The September New Release Giveaway hop is sponsored by Book Twirps and Refracted Light Reviews. Not yet, but I'm picking up 10 books from the library tomorrow including All Our Yesterdays, Fangirl, Gated, The 100, The Beginning Of Everything, Forgive Me Leonard Peacock and The Coldest Girl In Coldtown. Now just where do I start? 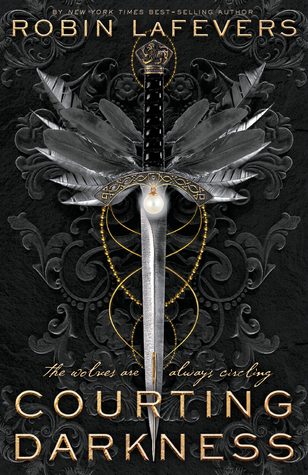 I have barely started Antigoddess by Kendare Blake and I'm loving it so far. Other September releases I want to read are Fangirl, 3:59, and This Song Will Save Your Life. Thanks for the giveaway! I don't think I've read any September new releases yet but hope to soon! I'm VERY excited about Through the Looking Glass coming out! I really enjoyed the first book and it is one of my top five most anticipated books of the year! Thanks! I still have many other books to read but I did get a copy of 'Very Bad Things' and which came out on the 2nd. I'm excited to read that one! Ps I would love to when through the zombie glass! Not yet, but I'm really excited about Antigoddess. I actually haven't read any September releases, but I'm really super excited for Through the Zombie Glass! I haven't read any yet, but there are tons that I'm looking forward to, like The Coldest Girl in Coldtown and Through the Zombie Glass! Sadly I have not read any September new releases yet. I have not read any of the September releases yet, though I am currently reading The Coldest Girl in Coldtown, which I am really enjoying. My favorite Sep. release is The Dream Thieves. I'd won an ARC a while ago and I was so excited. The Dream Thieves is exciting, original, and each and everyone of the characters are awesome. Stiefvater is such an amazing writer. Just the way she writes is beautiful and refreshing and original. I could go on and on about how awesome the writing is. Now that I've read The Dream Thieves, I know that The Raven Boys was just laying out the characters. We learn so much more about them in this book and I really feel like they are some of the most real, relatable characters I've ever read about. I honestly feel the same way about all the characters as I did at the end of book one. I still don't hate a single one of them! If anything, I love them more. Not yet but I'm so excited that Through the Zombie Glass comes out this month, I've been desperate for it from the moment I finished Alice in Zombieland. Thanks for the giveaway! I haven't read any September releases yet but I hope to buy Antigoddess this week, I'm really looking forward to it! I really enjoyed Tumble and Fall. The writing was really pretty, in my opinion. Have not read any yet, hope to soon! I haven't! I've been too busy reading old books! I'm way too far behind on my reading to have read any from this month! I haven't got a chance to read any new sept. books. Gosh, I haven't read any September books yet! I bad, LOL. Not yet! But I'm excited to read Fangirl and All Our Yesterdays. Thanks for the giveaway! I haven't read any yet. I'm waiting for my turn on the wait list or waiting for the library to get it in general. Curse being broke! I haven't read any September releases yet ;-( Can't wait to get my hands on one. I haven't read any of them yet, but there are so many that sound good! I have not read any yet :( So many that I want to though! 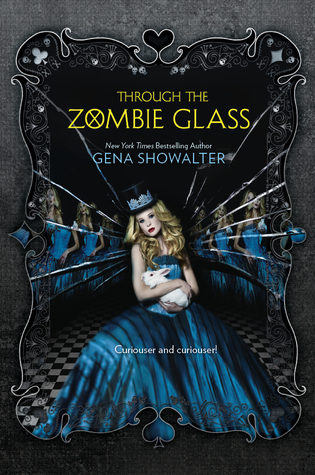 I have not read any september releases yet but I would love to read Through the Zombie Glass. There are so many new releases I want to read coming out this month, I haven't been able to get to any yet hopefully soon I will. I'm currently reading Asylum by Madeleine Roux & am enjoying it! I CAN'T wait for Through the Zombie Glass & about a million others, though. I haven't read any September new releases... I'm still catching up with boooks in my TBR list. I haven't read any September releases. But, several of them have caught my attention. I just started All Our Yesterdays and it's really good so far. I have a few more Sept. releases to read so can't say which is my favorite yet. I am currently reading The Beginning of Everything and its pretty good. I've read a few for the blog and loved them, but there are several that I still want to read. Thanks for the giveaway opportunity. The Outside by Laura Bickle - loved it! Not yet, but I want the Alice in Zombieland sequel! I sadly don't think I've read any yet but I'm about to start Tumble and Fall, Fangirl, and United We Spy. I haven't read any yet. Soon I hope! I loved Smoke by Ellen Hopkins and Rose Under Fire by Elizabeth Wein! I have many more September releases still calling my name, though. So many books, so little time! By far, All Our Yesterdays by Cristin Terrill. There was nothing that I didn't like about that book! I haven't read September release yet. I actually haven't read any yet, my book budget has been sadly lacking lately. 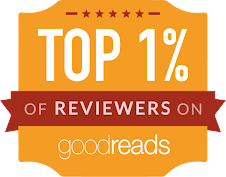 I've read 3:59 by Gretchen McNeil and A Little Too Far by Lisa Desrochers and both were amazing! I haven't read any yet, but I hope to soon! No I haven’t read any September new releases yet. But there are quite a few that I CANNOT wait to start reading!! 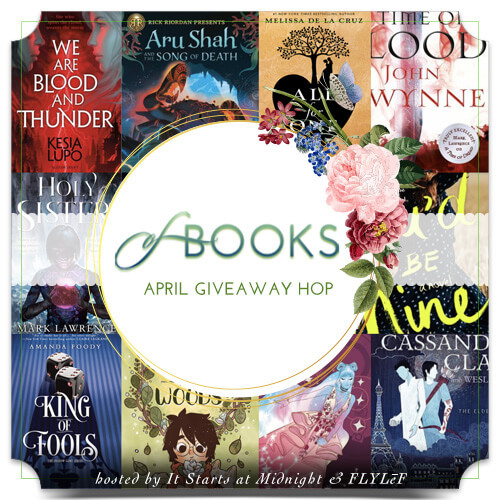 Thank you so much for being a part of this fun and awesome blog hop!! Thankless in Death by J.D. Robb! Does Elegy count? If so- it is amazing story and characters!